The collaboration between spectroscopists and astrophysicists initiated in the 18th century with the purpose of assigning the Fraunhofer lines in the solar spectrum to atomic transitions has remained fruitful, successful and ever fascinating. This collaboration has resulted in the unique detection of over 200 different molecular species in the interstellar medium (ISM) and circumstellar envelopes. These molecular species range from the simple diatomics like H2, O2, OH, CO, etc., to the complex species (those with six atoms and above in astrochemistry parlance) including the buckyballs with each molecule telling us the chemistry and physics of the environment from where it was observed. 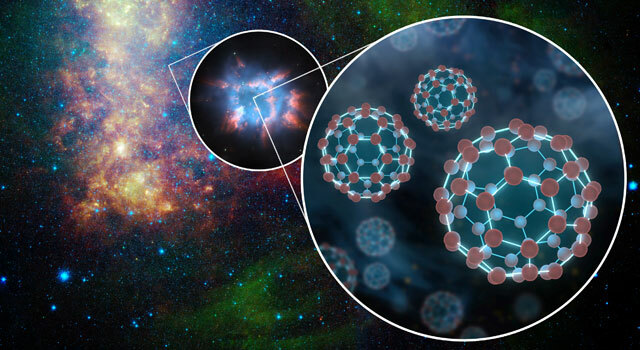 The use of these molecular species as probes of the physical and chemical conditions in space has emerged as one of the major driving forces for the increased interest in the fields of astronomy, astrophysics and other related fields. The field of astrobiology thrives on the discoveries of biologically related molecules in space. The space between the stars is not empty. In the early part of the 20th century, the interstellar space was regarded as an empty vacuum dotted with stars, planets, black holes and other celestial formations. This idea or perception was soon laid to rest when it was realized that the regions between the stars contain by far the largest reservoir of chemically bonded matter in nature through the discoveries of different molecular species some of which were not even known in the terrestrial laboratory as at the time of their astronomical observation. The interstellar medium is simply all the stuff between stars. It is the matter that exists in the space between the stars. The matter in ISM includes gas, dust and cosmic rays. By composition, the ISM is composed of 99% gas and 1% dust. With respect to the gas in ISM, 89% are atoms of hydrogen, 9% are atoms of helium while the remaining 2% are atoms of elements heavier than helium (with an atomic number of 3 and above) which are regarded as ‘metals’ in astrochemistry parlance. The interstellar dust consists preferentially of particles of heavy elements. We are interested in understanding of the different aspects of the chemistry of the various classes of these molecular species. With respect to the formation of these molecular species, though there is hardly a consensus as to how molecules are formed in ISM, the rapid advances in science and technology have resulted in an increased depth of knowledge regarding the formation of molecular species in ISM. Gas phase reactions and reactions that occur on the surface of the interstellar dust grains are the main processes by which molecules are formed in ISM. Of these two processes, reactions that occur on the surfaces of interstellar dust particles have been invoked for the formation of molecular hydrogen as well as for the synthesize of larger interstellar molecular species. In the current paper, we looked at different isomeric species containing the C-C-O and C-O-C backbone molecules in which there is at least one known interstellar molecule from each isomeric group to see if there could be a preference for a particular molecular backbone in space over the other. We applied high-level chemical calculations (using the Gaussian 09 suite of programs) in determining the standard enthalpies of formation for the different molecular species. We also analyzed the possible formation and destruction pathways for these molecular systems.From astronomical observations, most of the astronomically observed molecules species from these isomeric species have the C-C-O bonding backbone while only a few of them have the C-O-C bonding backbone. From the quantum chemical calculations, molecules with C-C-O backbone are the most stable than their C-O-C counterparts in the different isomeric groups examined. These stable molecular species are also found to be more abundant than their counterparts with the C-O-C backbone. The interstellar abundances of molecular species can be explained by a proper consideration of kinetics, thermodynamics, formation and destruction pathways factors that control the abundances of molecules in space. These findings are described in the article entitled Theoretical investigation of interstellar C–C–O and C–O–C bonding backbone molecules, published in the journal Astrophysics and Space Science. This work was led by Emmanuel Etim during his Ph.D. at the Indian Institute of Science, Bangalore. Dr. Etim has since moved back to Federal University of Wukari, Nigeria. He is currently at the Centre for Astrochemical Studies, Max Planck Institute for Extraterrestrial Physics, Munich, Germany. Emmanuel Etim is a Master's student at Ahmadu Bello University | ABU · Statistics. Prasanta Gorai is a Senior Research Fellow at the Indian Centre for Space Physics | CSP · Astrochemistry /Astrobiology. Ankan Das is an assitant professor at the Indian Centre for Space Physics | CSP · Astrochemistry/Astrobiology.